Basic chef pants. 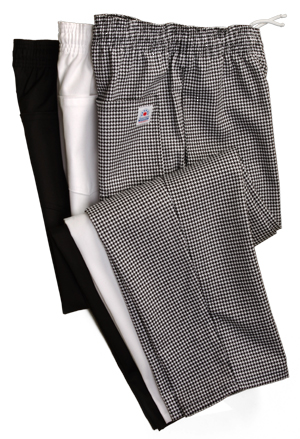 Designed for comfort with elastic waist and baggy cut. 2 side pockets; 1 back pocket.